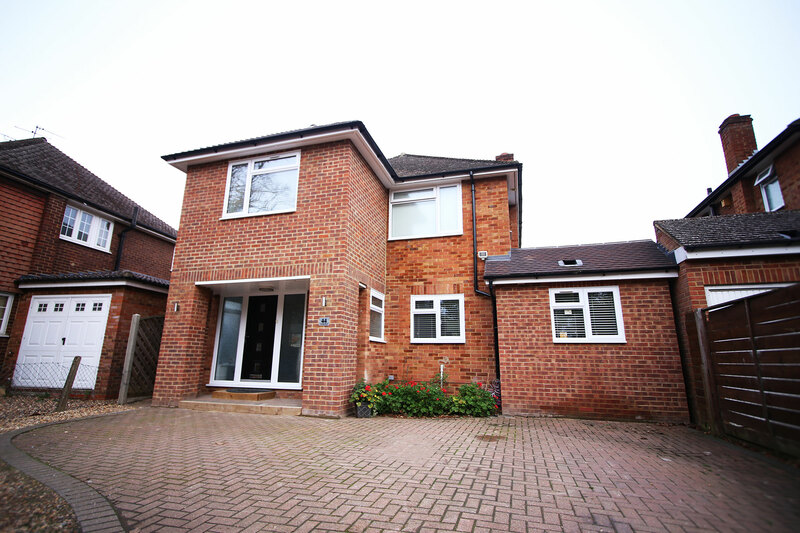 Creating a Home to be Proud of, Staines Upon Thames, Large rear and front extension. 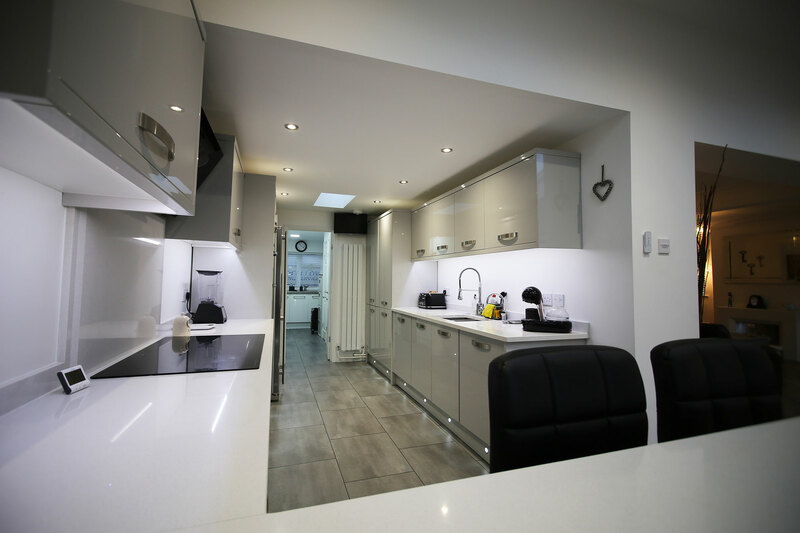 We recently visited our client, Nicola in her finished home to discuss her design and planning journey and, learn how her new home has impacted on family life. When we bought our house just over two years ago, our main priority was to be able to build a totally independent annex for my mum in the garden of the property, so the location and garden size were what sold the property to us.¬† The house was dated and didn’t suit us at all, and to be honest, I wasn’t very keen on it. So once the annex had been completed, we were able to start on the total refurbishment of our house, and having lived in the house for several months prior to work starting, we were able to see how the house would best work for us as a family. The large rear and front extensions have made a good-sized open plan living/kitchen/dining area which opens out onto a raised deck area which is something I have always wanted. And we now have three double bedrooms, two with en-suite bathrooms, again something we had not previously been fortunate enough to have. This is now a home that I love and am very proud of and works perfectly for our family. Keen to start your dream build?